Thank you for reading our blog post, please take a second to follow us and stay in touch below! 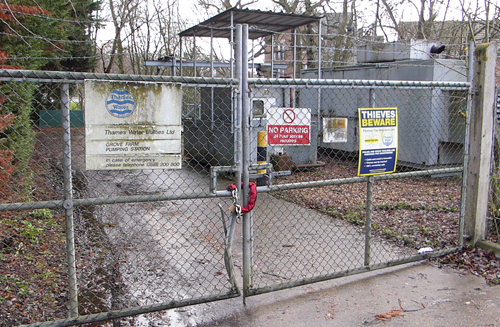 Now defunct, ‘The Old Pumping Station’ in Hitches Lane, Fleet), has long been a source of severe sewage flooding, affecting local residents as well as those who walk and drive past the affected area in Hitches Lane. BELOW: The ‘Old Pumping Station’, Hitches Lane, Fleet. 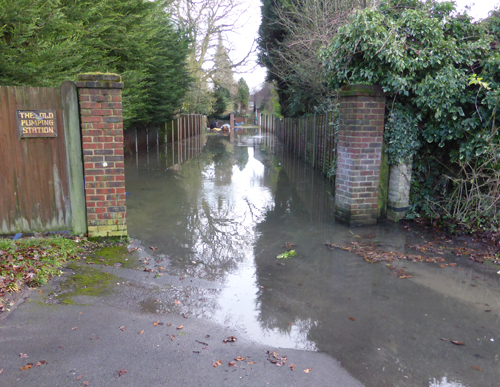 BELOW: Severe Flooding in property backing onto the ‘Old Pumping Station’, Hitches Lane, Fleet. About 18 months ago we had a letter saying they now agreed that it is a mechanical problem and to rectify this, the job was going out to tender but when the tender came in the job was much bigger that they thought, which would delay the start of work this January until it had been resubmitted. 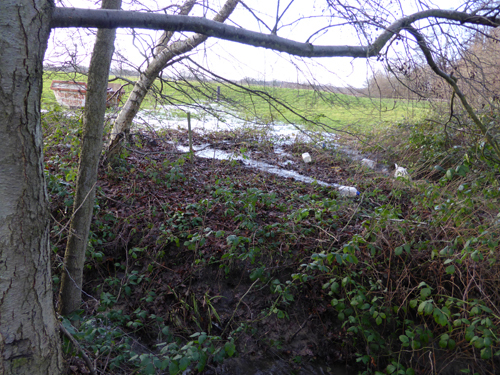 BELOW: Land opposite Calthorpe Park School, where underground surge tanks were installed to help control the floodwater. The latest we have heard, is that they have applied for planning permission to build a new pumping station on top of where the surge tank is, a bit of an eyesore. I do not understand why they cannot expand the current one. Every time we flood we are suppose to get a clean up but we have to chase for this to happen.